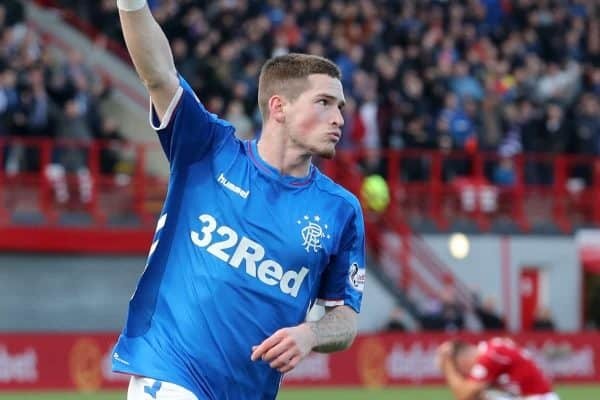 Ryan Kent looks to be finally hitting his stride at senior level with Rangers, and Steven Gerrard is confident he can get even more out of the Liverpool loanee. Kent joined the Scottish giants in July after a season of muted spells away from Merseyside with SC Freiburg and Bristol City. And while his fellow academy graduate Ovie Ejaria ended his time at Ibrox early in November, Kent has made great strides under Gerrard. On Saturday, he scored his fifth goal of the season in a 4-0 mauling of St Mirren, in a game marked by a strange quirk as Rangers were awarded a total of four penalties—three of which were scored. Kent was the only player to score from open play, and his goal highlighted the qualities that are making him such a popular player in Glasgow. Winning possession in his own half, he threaded it onto Jermain Defoe before racing through on the left flank and into the box to receive a perfectly timed return ball and dink it over goalkeeper Vaclav Hladky. Ryan Kent in that sort of form, could be the best player in Scotland. The hype Patrick Roberts got when he was up here was embarassing when you consider Ryan Kent is twice the player. Ryan Kent is honestly such a baller man?? Running riot now! 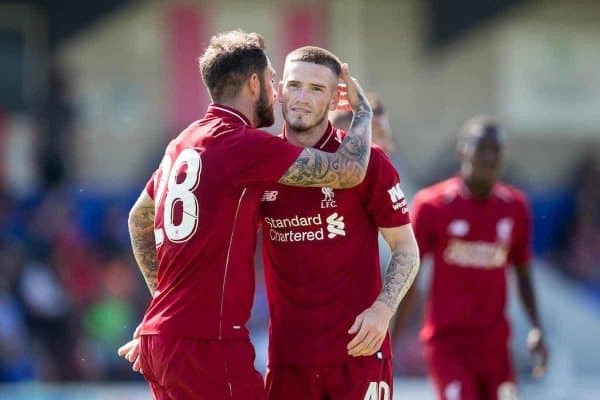 Ryan Kent has been outstanding again today fully deserves that ???? Speaking to RangersTV, Gerrard lauded the contribution of his No. 14, but insisted he would not allow him to get comfortable, vowing to “push him” for more. “He’s been excellent for us. He’s in good form, he’s happy,” he explained. “But I’m going to keep pushing him because I want him to be hungrier to score more goals and I want him to keep being hungry to improve his numbers. “Today he could have got two goals, maybe three, so it was a good performance and I think he’s got man of the match. Kent could not have a better role model than Gerrard at Rangers, and the Liverpool legend’s tendency to play down the achievements of his side—saying they were “not at their maximum” on Saturday—should instil a determination in him. Whether he stays north of the border for the long term or returns to Anfield in the summer remains to be seen, though Kent has expressed a desire to join Rangers on a permanent basis. There are aspects of his game that have clearly been honed working under Jurgen Klopp, with his aggression off the ball markedly improved from when he first broke through. This could come in pre-season, and if Kent continues his rise at Rangers, there could be a big decision to make.